"Possibly his most Rilstonian book. 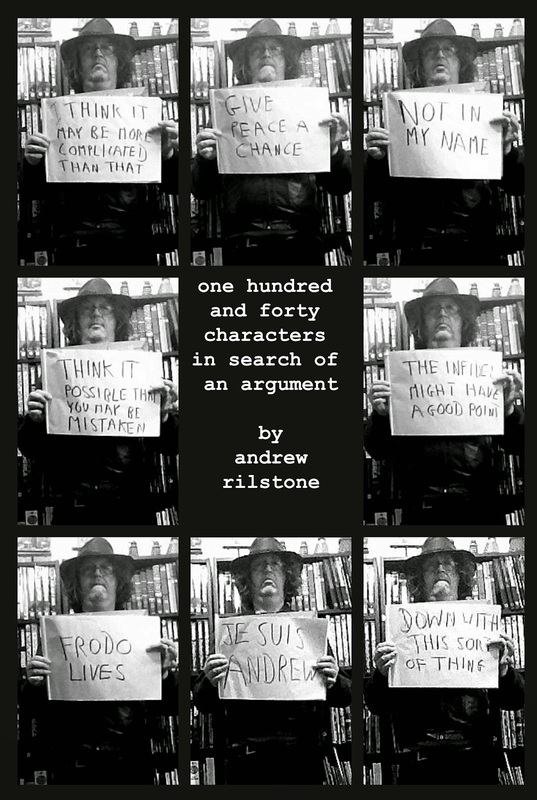 I know many people who like Rilstone’s writing — they should buy it immediately. But I also know a few people who get angered by Rilstone’s writing, and they would probably find this *far* more angering than, say, his book on Doctor Who." Andrew's first new book for over a year. Planned since 2014, recent events have given these essays an unlooked for topicality. commentary, deleted scenes, and soundbyte summary previously available as a subscriber-only PDF, now available only in this format.